Robin Rises #1 Review | DestroyTheCyborg! Robin Rises #1 – DestroyTheCyborg! Paying $7.99 for the 900th issue of Detective Comics was the most I’ve ever paid for a single issue. 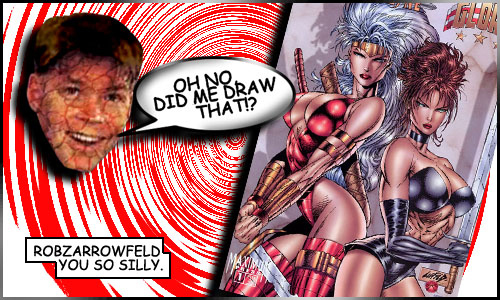 If you were to ask DC this question, and if they were to respond in a civil way, one that didn’t involve them sending Rob Liefeld to liberally apply a baseball bat to your extremities until they resembled one of his own “anatomically-distraught” characters…they’d say “more pages means more money.” Well, sure. But just what makes up those pages? With one of their “we can get away with it” titles (Batman, Action Comics, Detective Comics, and the “soon to be axed” All-Star Western) they usually come in the form of an eight page short story that rounds out the issue. Sometimes they’re fantastic bite-size stories, like James Tynion and Rafael Albuquerque’s tales of Bruce Wayne globetrotting to learn his “special set of skills” during the “Zero Year” arc of Batman. Aaaand…sometimes, like the Steel short stories during the opening arc of Action Comics, sometimes…you’ll wish you had your dollar back. Tynion and Albuquerque’s backup stories in “Zero Year” were a real treat. As for annuals, you can either look at them as a glowing compliment from DC that your title in question is selling well (from what I’ve heard, that is what dictates who gets an annual), or as a five-dollar entrance fee to something that may or may not actually play into the storyline of the usual monthly entries. So while the recently released Red Lanterns Annual #1 turned out to be absolutely essential to Charles Soule’s recent infighting amongst the Crimson Corps, last year’s Animal Man Annual #2 wasn’t really necessary for monthly readers. Was it resoundingly beautiful, feature the return of Travel Foreman, and have me weeping uncontrollably? It did. But not reading it won’t leave you lost. So what do we do with a one-shot like Robin Rises #1? Well, even though it kicks off an arc that doesn’t span multiple books (much unlike Superman: Doomed #1), you’ll find that your mileage may vary, depending upon a few factors. However, allow me to quickly quash something I’ve heard thrown around in the past week or two: contrary to what some people are saying, I do not consider this to be a good “jumping on” point for Batman and Robin. Oh, Animal Man Annual #2…DID IT JUST GET DUSTY IN HERE? I mean…I’m not crying, it’s just raining on my face. That aside, Robin Rises begins with a bit of canon confusion and a catch-22 that’ll likely rub both new and old readers the wrong way. Look, I know that Batman got something of a semi/sorta/kinda “soft” reboot when the New 52 pulled into town, and while we’ve gotten bits and pieces here and there, we’ve never really had it spelled out what rolled over from the pre-52. Until now. Peter Tomasi goes ahead and spends a little over a half-dozen pages pretty much making everything from Batman and Son onwards canon. For veteran readers, you’ll likely be miffed that your extra cash went into a recap of the last eight years of this father/son relationship. However, for you New 52-ers, the beginning of this issue? Even if you did read Batman and Robin #0? Oh man, it’s gonna have you so freakin’ confused. That’s because, as I said earlier, a while bunch of pre-52 stuff gets brought up, including: Batman and Son, Final Crisis, Battle for the Cowl, and The Return of Bruce Wayne. On top of that, those who haven’t read Death of the Family or Batman Inc. from the New 52 might feel a little lost. Bottom line, if you’re a stickler for being “in the know,” just start reading all things Batman by Grant Morrison because Tomasi (who was “coincidentally” Morrison’s editor at the time) goes ahead and makes it gospel. While some will label it an unnecessary recap, and others will have it inciting a forty-five minute Wikipedia session, shouting things like “WAIT, WHY IS BATMAN A PILGRIM?” and “DEAR GOD, NOT TONY S. DANIEL,” I personally enjoyed it. For the last year or so, we’ve focused so much on Batman’s attempt to revive and repossess Damian’s body, that we’ve perhaps lost sight of the fact that this corpse turned MacGuffin once was the living, breathing son of Bruce Wayne. Tomasi manages to masterfully weave through eight years of events, reminding us of just all that this father/son duo went through, despite the short time they were a family. Let’s be clear, I LOVE this section, but if you’ve strictly read New 52 stuff, this is going to look QUITE foreign. From there, the plot returns to the present where we discover that Ra’s al Ghul stowed away a “chaos crystal” in Damian’s sarcophagus…something that “can amplify energy like nothing else in the universe and defy physics at times in what can only be described as…magical.” Readers are left to guess at Mr. al Ghul’s intent for this bauble, but considering that he’s got a grandson to jolt back into the land of the living, I’d imagine this here chaos emerald, I mean, umm, crystal would likely make short work of such. Unfortunately, Glorious Godfrey, the foppish mouthpiece of Darkseid, isn’t the sort of individual who gets hung up on the moral implications of ransacking a child’s casket. 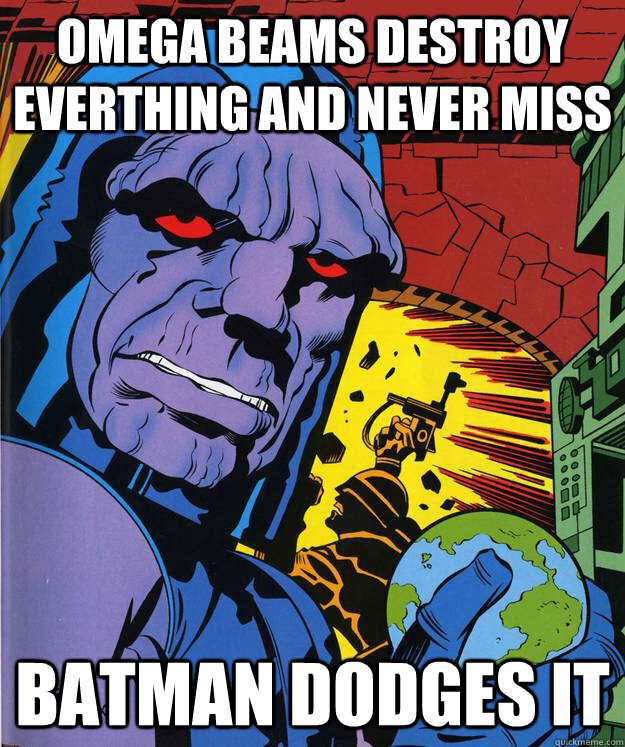 That Darkseid, he’s an “ends justify the means” employer, and right now that “end” is exiting Earth, crystalline shard in tow. Not if Batman, Frankenstein, Ra’s and a “League of [his] own (Assassins)” have anything to say about it. Does that mean that it’s time for a huge fight to take up the remaining pages of the issue? Almost definitely. Oh, and I don’t mean that in a derogatory fashion, the sequence is perfectly paced from panel to panel, and never borders on a “superfluous pages of pugilistic padding” slugfest. You know, the stock fight sequence with the direction and stakes of a lackluster “Rock ’Em Sock ‘Em Robots” match. That this ain’t. Considering that Frankenstein is known for quitting every team he joins, and Batman and Ra’s are mortal enemies, this team-up won’t last long. As much as I would have loved to see the recap sequence rendered by Batman and Robin regulars, penciler Pat Gleason and inker Mick Gray, having them tackle an oversized one-shot in addition to their regular workload would be quite taxing. Instead, DC put Andy Kubert on the issue…which meant we had an artist drawing flashbacks to stuff that he originally drew the first time. That’s right, Kubert penciled Grant Morrison’s Batman and Son way back in 2006, and recently wrapped up his Damian: Son of Batman miniseries, which he also wrote. His work in the prologue seems a bit less polished and underdeveloped, but I’d wager it’s an intended consequence of the grainy retro aesthetic that Jonathan Glapion’s faint charcoal pencil inks and Brad Anderson’s washed out colors wonderfully achieve. Honestly, these opening pages feel like leafing through an old photo album…if one’s photo albums tend to be laden with a surplus of f*cked up Polaroids. As for the “present” portion of the issue, Kubert clearly demonstrates his aptitude for action sequences, shifting between zoom ins and pan outs, splash pages and a general unwillingness to allow more than five or six panels per page. For someone who’s quite accustomed to huge battle sequences, Kubert’s level of detail on close-ups is impressive, and shows off a dynamic and energetic style that, unlike many modern takes on “The Bat,” wouldn’t feel out of place as an animated series. I was just going to say that it reminded me of Nineties comics, but then I was worried that some of you might not realize that’s a compliment. In the end, Kubert draws Frankenstein well, and that’s pretty much the key to my heart anyway. Man, this “Darkseid” guy sure has a lot of fans. But here’s the real question: do you need to buy Robin Rises? Could you simply read Batman and Robin and still remain on top of things? Sure, within a matter of pages you’ll sort out that the pint-size corpse has come “under new ownership,” and that a prominent batch of superheroes aren’t super pumped about Batman’s one-man-army approach that’s more than likely to have him “Omega Beamed” to the back of the skull, and inevitably drawing cave paintings once more. So I guess, in that regard, you can either thank DC for not strong-arming you into a $4.99 purchase, or scold them for creating content that isn’t absolutely necessary for someone. Robin Rises #1 is a pricey issue that likely stands to confuse those that have only read DC fare since the New 52 began, but it is a well-told recap to Damian and Bruce's history, and Kubert's pencils impress.